Our daily needs and desires make us access a wide variety of websites every day. From shopping online to meeting our information needs, or to merely have some fun, anyone of us with an internet connection has to opt among the myriad websites available. Quite often, until we find the websites most suited to us, we go through a selection process, in which a number of factors help us decide which website is good and which is not. 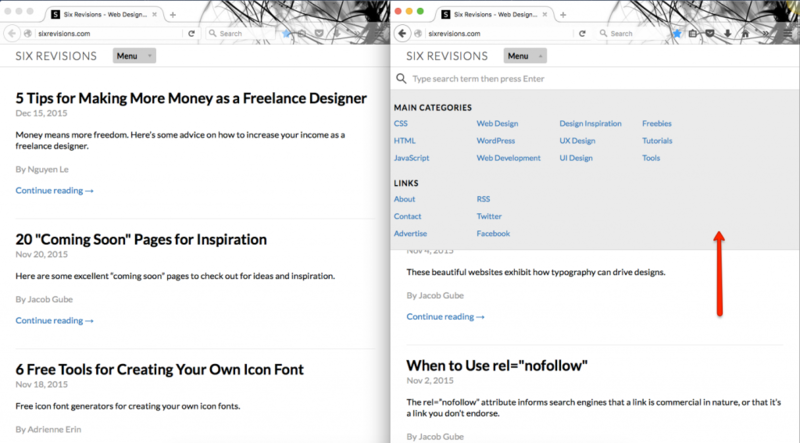 The following list describes some usability-related problems of various websites (more or less well known), problems that might lead to these sites being less preferred than other, similar ones. When we fill-in a form, the mandatory fields should be marked with an asterisk and have a pop-up message informing the user that he or she cannot proceed without filling in those fields. Unfortunately, some websites fail to implement an easy to follow procedure for determining which fields have not been adequately filled in. One such website is Bitdefender.com, where the site does not point out which fields were skipped or inadequately filled in, and the user has to start all over again in order to determine what has been left out. This, of course, takes a lot of the user’s time. Not to mention how it could affect the user’s decision in the payment process. Password field what do you want from me? 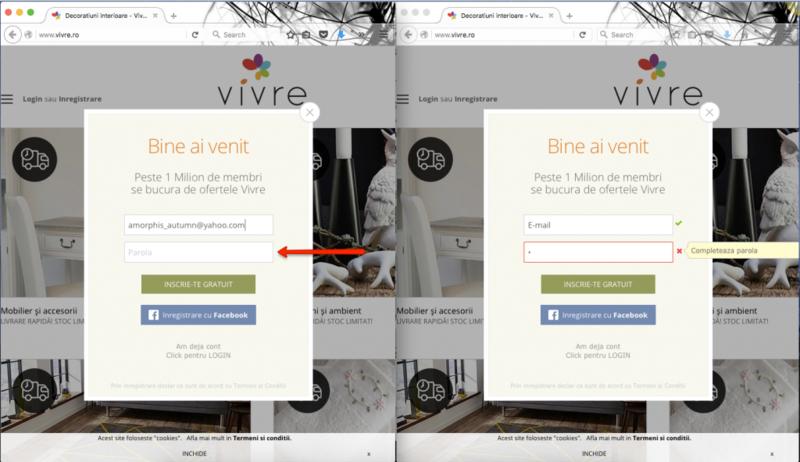 Another usability problem can be encountered in the website vivre.ro (and in a large number of other websites, this being only an example). This problem regards not specifying the minimum number of characters for a password for that website, nor the types of characters supported (numerical, alpha-numerical, commas, dashes, etc.). As a user, I have to go through a number of attempts in order to come at an acceptable password, the only feedback received being vague indications such as “password too weak” or “password too short”. This also takes a lot of time. A website I access sometimes is sixrevisions.com. 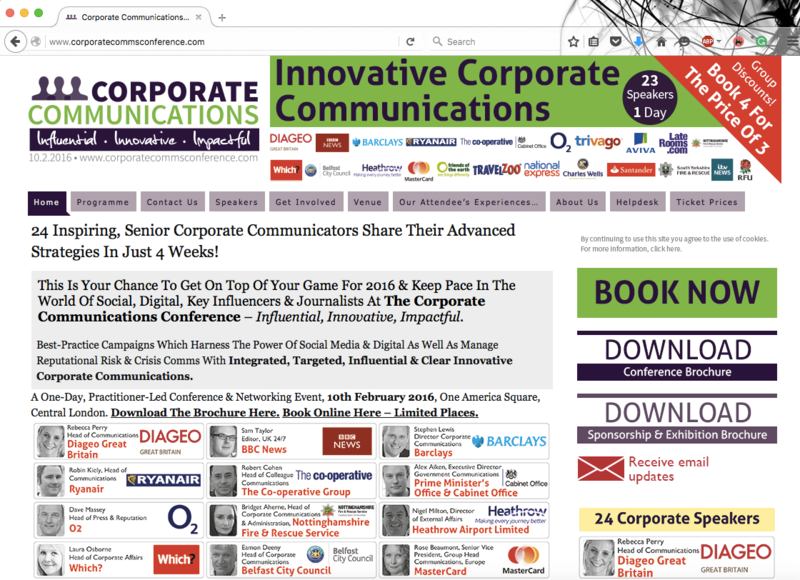 In the past, the website had a much more accessible menu, but nowadays the menu cannot be hidden by hitting any key or key combinations as you would expect it to. The menu has to be hidden using the same click button that opened it, and this lowers the usability of that website. Push the button, push it! But wait, what button? 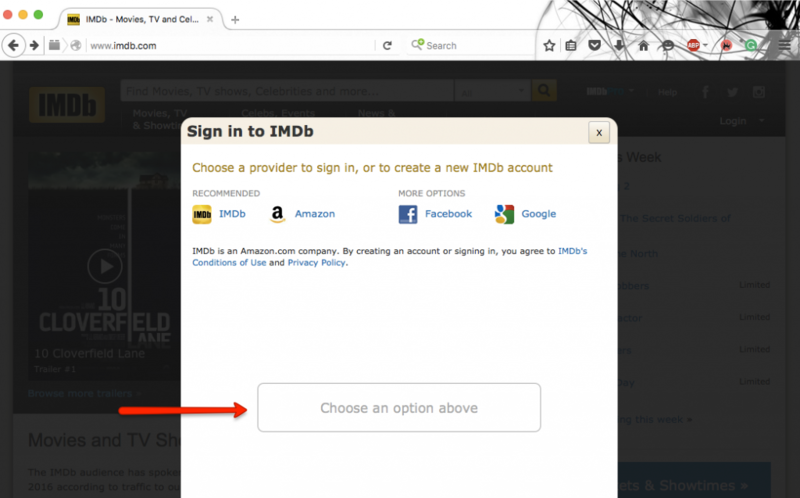 Imdb.com is a website quite well known, especially among movie enthusiasts. When the user tries to log into the site, however, a pop-up mini window emerges (which is not something out of the ordinary), but it also pops up a misleading button, which actually does not do anything, but instead instructs the user what to do for logging in. Nevertheless, the user might believe at first that the button is clickable, and become frustrated. Wouldn’t it be easier to lose the button look alike and increase the call to action font? Just sayin’. Let’s speak some English Romanian, please! The native language of the user can also lead to problems. 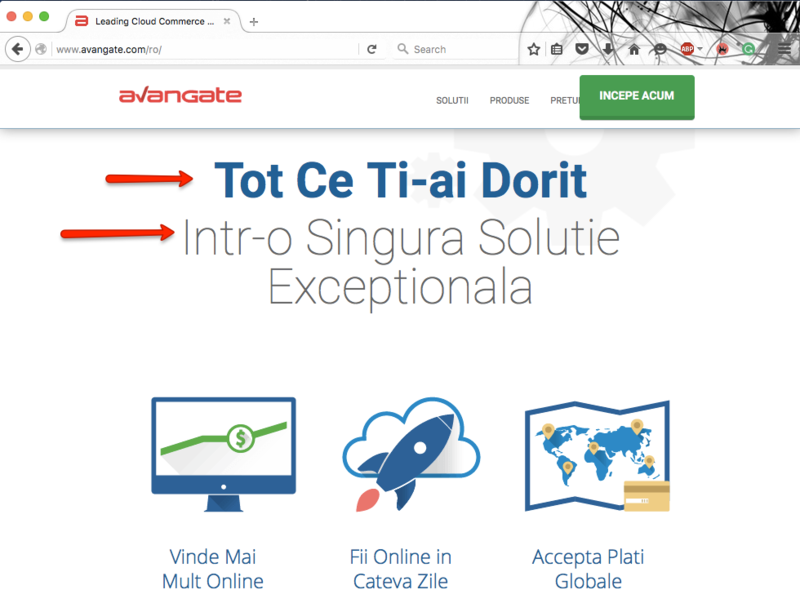 On a lot of Romanian websites we can encounter a wide range of correct and incorrect uses of Romanian, from sites that use the language correctly, with diacritical marks, to websites with a lot of errors, or that mix Romanian with English. For instance, on avangate.com, the first letters of each words are capitalized, as it happens in English. We can also find websites that have a mixture of Romanian and English even when the user opts for the ‘Romanian only’ button. There are also instances in which selecting a type of font leads to problems, as some fonts do not support diacritical marks. 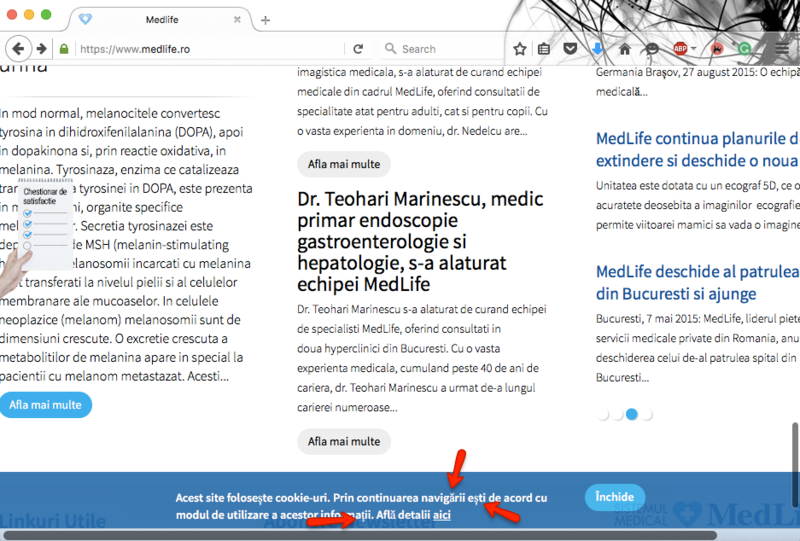 An example of such a site is medlife.ro. App icons or Social Media buttons? 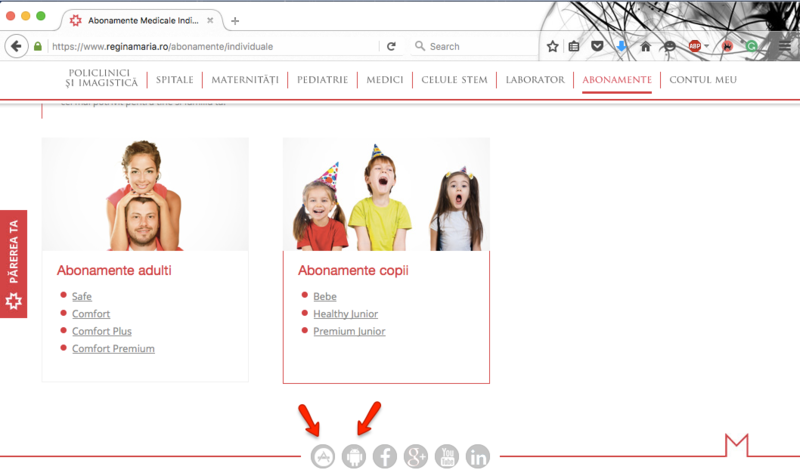 On the website reginamaria.ro, I looked for indications for using the iOS app and I was quite surprised to see the app icons next to the social media buttons. These icons ought to be integrated separately in the website, to better distinguish them from the social media buttons and get more downloads. 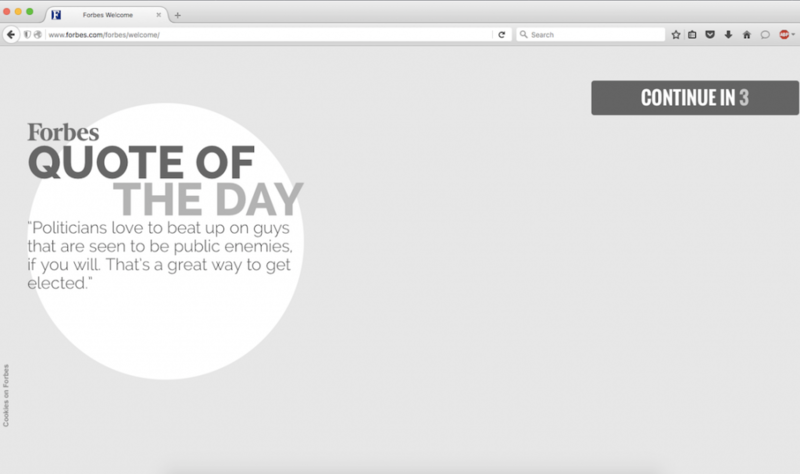 Although this might seem at first a usability problem, the following maneuver is actually quite a good one: websites such as Forbes, which often offer paid content, have decided to prompt the visitors with a message urging them to uncheck their website in the AdBlock add-on, thus ensuring both free content as well as the possibility for the website to make money through ads. 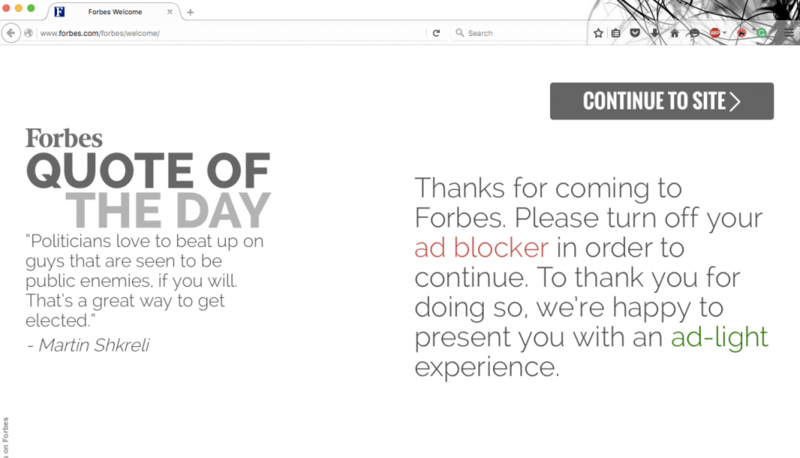 Just so you know, dear Forbes, some of us would happily pay for the content instead of seeing ads. More and more websites try to offer visitors the possibility of online shopping, eliminating the need for standing in lines in physical stores. 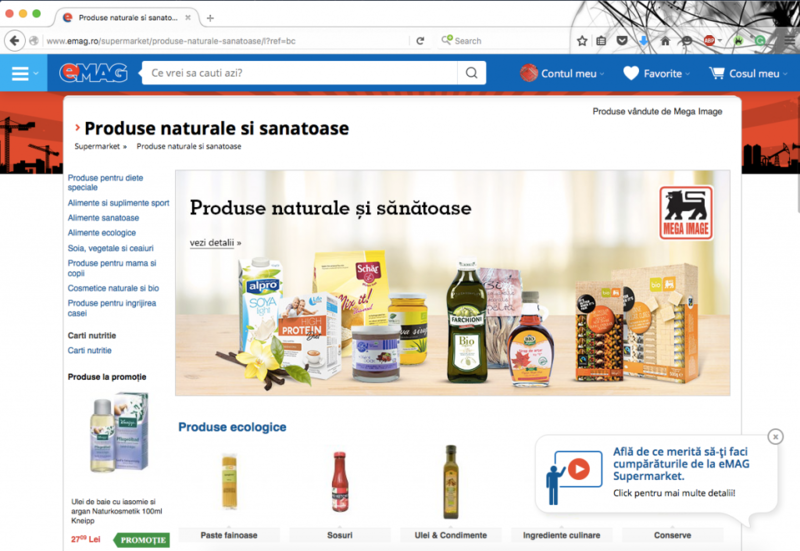 This was also opted for by emag.ro, but the disadvantage of not having the opportunity to browse among physical merchandise does not satisfy many customers. If, for some categories of products found on the site, you can easily find the desired item, in the supermarket section, confusion may arise, because here you don’t need a single type of item, but more. And this way you are required to revert to the ‘supermarket’ option, which contains all the categories of products found in the supermarket, but without the need to operate the mouse to get to them. Thus, we need to buy our groceries just like we would in a supermarket. To put an end to this article, let me just add that while these might seem as minor aspects, they can become critical when it comes to a user’s experience on a website. Do leave a comment below and tell me if you know other examples of usability bad practices. For other examples regarding usability, you can check out the following presentation.